Q: What’s the most intelligent strategy for losing weight and keeping it off, in your opinion? Marla Ahlgrimm: Changing exercise habits and diet are critical for alleviating weight gain during perimenopause and menopause. Aerobic activity and strength training can allow women to maintain a desire weight. Try to incorporate exercise into a regular schedule – 30 to 45 minutes each day should suffice. Q: How should women at this stage of life tailor their diets to fit a new routine? Marla Ahlgrimm: Select more vegetables, whole grains and fruits with lean sources of protein, like fish or chicken. To cut calories without compromising nutrition, pay close attention to your caloric intake. 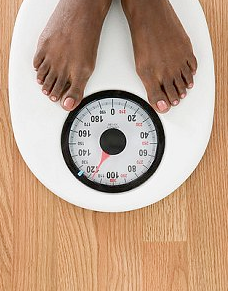 By reducing caloric intake, women can lose excess pounds and improve their overall health. Q: In closing, what might be a helpful motivation to boost the morale of women in their health and wellness efforts? Marla Ahlgrimm: A woman sees her best results when she surrounds herself with family members, friends and other loved ones who can support this journey and offer positive reinforcement at every turn. Teaming up with someone else at the gym, for example, may lead to greater improvements in a shorter amount of time.